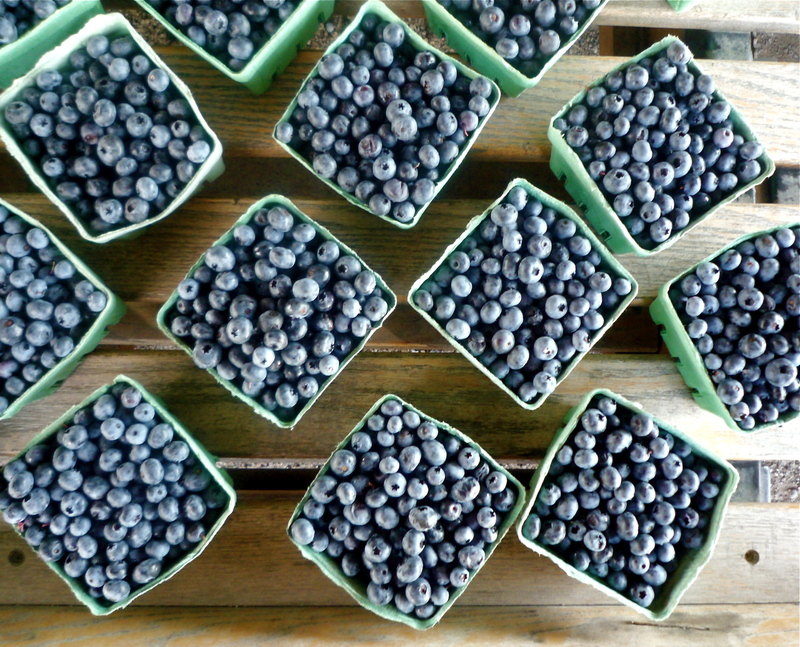 Local blueberries are at their peak right now in most parts of Canada. While imported blueberries are usually available at grocery stores year round, local wild berries are a special summer treat. 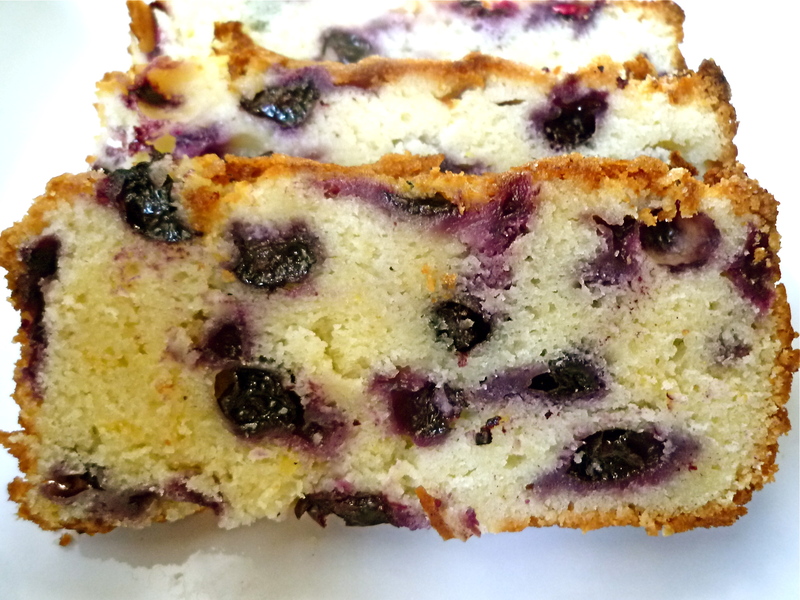 This moist and flavourful sweet bread is the perfect way to showcase juicy berries. However, it can be made with frozen blueberries if fresh aren’t available. 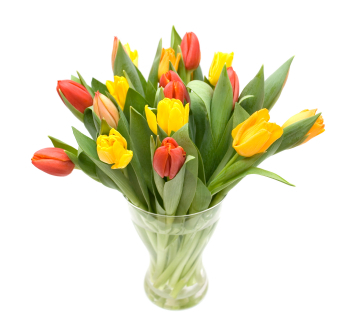 A bouquet of tulips is a simple way to dress up your Easter table. This weekend is Easter and it’s a great opportunity to gather with family and friends for a meal. While many will be enjoying an Easter dinner of ham, potatoes or lamb, I think brunch is a fun meal for entertaining. Why not make a spring-inspired menu and invite your friends over for a casual morning of mimosas and delicious food? Fresh locally grown blueberries won’t be available for a couple of months in most areas but frozen ones work perfectly for the sauce. No need to defrost them – just put them in a pot with a little bit of water and they will cook down in no time. Of course the pancakes are also great topped with maple syrup as well. These pancakes are not the thin ‘flap jack’ kind – they puff up and are are quite substantial. To round out your Easter brunch if you’re feeding a crowd, I suggest some baked ham with Maple-Dijon Glaze, Crustless Asparagus Quiche and Spicy Breakfast Potatoes. In a large mixing bowl, combine flour, baking powder, salt and sugar. Stir to combine. Add egg, 1-1/2 cups milk and 3 Tablespoons oil or melted butter to the dry ingredients. Gently stir until just combined. If the batter is very thick, add a bit more milk (however, it should still be quite thick and not runny). 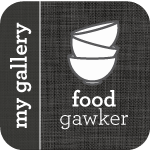 In a separate glass or stainless steel bowl, combine egg whites and cream of tartar. Using a hand mixer or stand mixer with whisk attachment, beat egg whites until they form stiff white peaks. Fold egg whites into pancake batter until just combined. In a large skillet on medium-high, heat enough oil to coat the bottom of the pan. Working in batches of 3 or 4, drop large spoonfuls of batter into the skillet. Cook until the bottom of the pancakes are set. Turn over with a spatula and cook until both sides are golden brown and the centre is cooked through (insert a knife in the centre of the pancake to check for doneness). Pancakes can be kept warm in a low oven until all batches are cooked and are ready to serve. 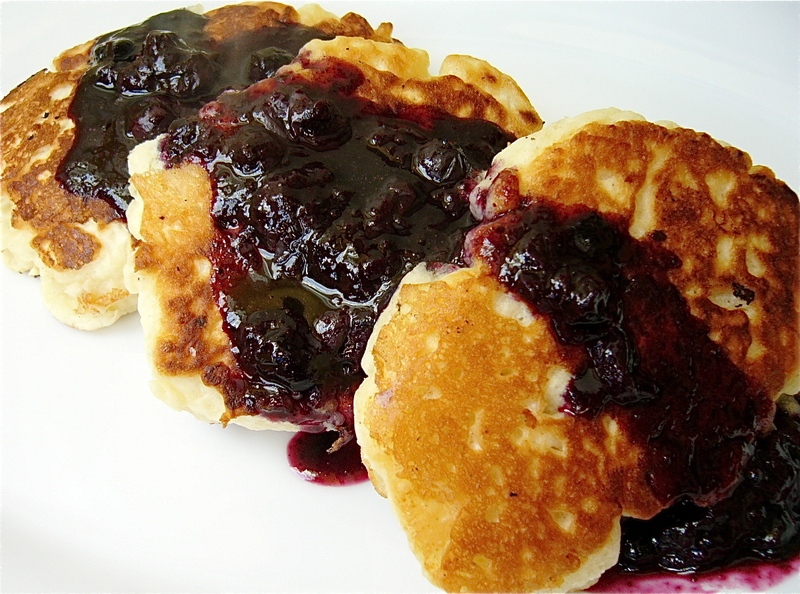 Serve with maple syrup or blueberry sauce (see below). In a large saucepan, combine ingredients. Heat until simmering. Gently mash berries with a potato masher and continue to simmer for about 15 minutes. Bon Appétit and Happy Easter! Thick fluffy pancakes topped with blueberry sauce. Tomorrow is Shrove Tuesday, also called Pancake Tuesday in many places (and more commonly known as Mardi Gras or Fat Tuesday around the world). When I was growing up, we would eat pancakes as part of the tradition. If you don’t have time for a pancake breakfast, why not have ‘breakfast for dinner’, with pancakes as the main event? Pair them with a side of bacon, ham or sausage for a hearty meal. These pancakes are a little different than thin ‘flapjack’ style pancakes. They are quite thick but mixing beaten egg whites into the batter makes their texture fluffy and light. Serve with blueberry sauce (made with frozen blueberries) or maple syrup.